Food also served to humanize the leaders of the movement. "It's good to remember Martin Luther King wasn't a saint. 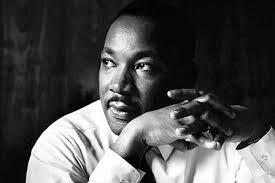 He was a human being, with all the frailities and hopes human beings have, " said Rev. Samuel "Billy" Kyles, pastor at Monumental Baptist Church and an associate of King's. In Taylor Branch's "Pillar of Fire", the author described a familiar scene during a trip through Mississippi: "(Dr. King) took extra time at one highway rest stop to snack on pickled pig's feet from a large display jar on the counter of a rural store. (Ralph) Abernathy and others joined him to gnaw through one foot after another, leaning forward to keep from dripping on their suits, while they enjoyed the queasy abstention of Andrew Young." When King and his considerable entourage had the chance to sit down to a meal, shop talk was unofficially off the table. "Dinner was so much more than dinner, " said Kyles. "When you got a chance to sit down to a meal, it was an occasion. There was good conversation, fellowship, fun and jokes. The discussion might drift off to something more serious, but generally, dinner wasn't the time for planning." The tradition of fellowship and food has roots back to slavery, Kyles said. "There wasn't much pleasureable going on in the lives of slaves except for food, " he said. "They took the leftovers, the throwaways like chitlins and made delicacies out of them." Kyles planned to take King to dinner at his home on April 4, 1968, when the civil rights leader was shot on the balcony of the Lorraine Motel. The meal, which had been cooked at the church by a number of female members , included many of King's favorite dishes: fried chicken, ham, sweet potatoes, two kinds of greens, crowder peas, sweet potato pie. "I got there about 5 to pick him up, but in reality, dinner was at 6, " Kyles said. "He said he was in no hurry. I had the great privilege of spending that last hour with him." "He wanted to know what was for dinner, " Kyles said. "He knew I had just bought a new house and he told me how he had been to dinner at this preacher's house in Atlanta... he said, they couldn't afford furniture after buying that house so they ate on card tables and the ham was cold, the Kool-Aid was hot and the biscuits were hard. He teased me, saying that if I had bought a new house and couldn't afford a proper dinner that he was going to broadcast that on the radio." Virginia Boyland was one of the women who had helped cook the lavish spread. "I remember we wanted everything to be perfect, " she said. She spent hours washing greens and cutting up and frying chicken. "It was well known that he loved food, " said Boyland, who remembered macaroni and cheese as another favorite. Kyles referred to that meal as "the dinner that never was." "I told those ladies they had the privilege of cooking the last meal for Dr. King. It was never eaten, but it was prepared." Adjua A. Naantaabuu had cooked steak for King and his entourage the night before he was killed, the night he made his famous "I've Been to the Mountaintop" speech. "I was asked if I would prepare some food, " said Naantaabuu, who was involved in efforts to support the sanitation strike. "I fixed a steak dinner, baked potato, tossed salad, iced tea, some broccoli, " she said. "I was grateful to do that. In those days, blacks couldn't go to restaurants. Well, there weren't many restaurants you could go to." Naantaabuu said Abernathy asked her to make the group spaghetti and chitlins the next night. "The table was set. I had fallen asleep in front of the TV waiting for them, and the phone woke me up. I heard he had been shot, " she said. It wasn't unusual for King to have two dinners scheduled on the same night, said LaFayette. "Everybody wanted him to come to their home, " said LaFayette, who has established centers for nonviolence throughout the world. "If you followed Dr. King, you ate well. It was those second dinners that could make you fat, but not him. He burned up all that energy." Lewis Bobo, who owns The Gay Hawk restaurant on Danny Thomas, said he remembers King coming into the restaurants in the late '60s. "A couple of police officiers came in with him, " he said. "They had fried chicken and some shrimp." LaFayette said he never recalled King ordering one soul food classic: chitlins. "There was only one person who cooked chitlins he liked and that was Mrs. Abernathy. We used to call her the chitlin queen." Meals did not have to be lavish or elaborate for King to have enjoyed them, either. "We ate a lot of baloney sandwiches, " Kyles said. "You never knew how many might be eating, but there always seemed to be enough, even in the most humble shacks in Mississippi." LaFayette recalled more than a few meals of chicken feet and rice. "There was always rice to fill out the dish, " he said. "But there was always dessert." When it came to something sweet, nothing topped peach cobbler for King. "Mama King made the best peach cobbler, but he made a point of trying to find one like his mama made, " LaFayette said. While celebrations of Dr. King's birthday tend toward serious discussions and community marches, at least one restaurant throws a party of which King would certainly approve. For 19 years, The White Dog Cafe in Philadelphia has served traditional Southern dishes and a chocolate birthday cake to commemorate a man who social activist/restaurateur Judy Wicks said is her role model. "We started the dinner a year before his birthday became a holiday, " said Wicks, who makes it a point to reread some of King's books this time of year and keeps her favorite King quote framed and hanging in her office. "The first year we tried to do all his favorite foods. I read somewhere how much he loved ice cream, and we always have chocolate cake and ice cream."